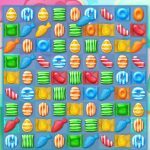 Home » Game news » Candy Crush Jelly Saga: 5 tips, tricks, and cheats to crack frosting and free Puffers! 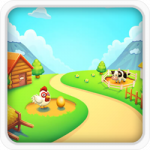 Candy Crush Jelly Saga, the third installment of the very popular Candy Crush series, brings you more of the same, addictive, match-three mechanics. 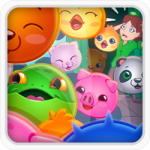 You advance through levels of increasing difficulty where you must “spread the jelly everywhere,” free the shy Pufflers, or battle the Jelly Queen for control of the board. 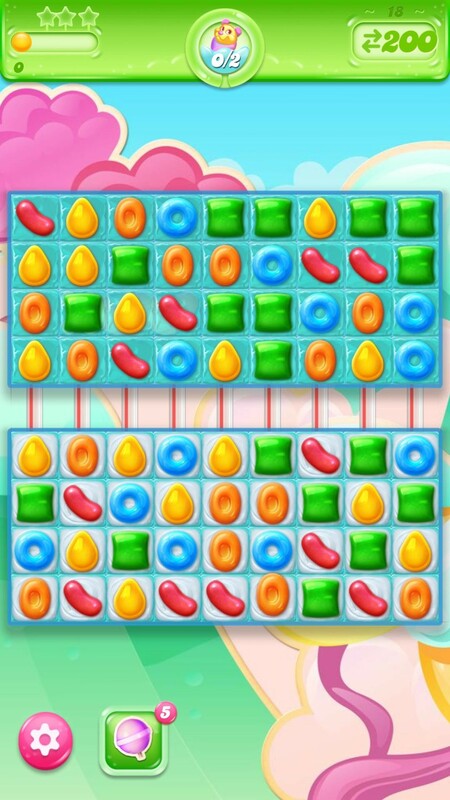 Matching a number of the same color candies lets you make special candies that help you clear the board more quickly. This is especially important for Jelly Queen levels where you’re going head-to-head against the sticky monarch herself. 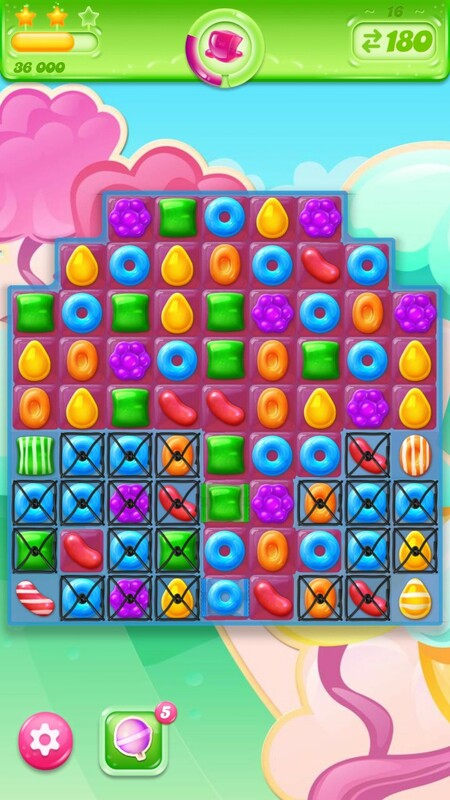 Striped candy – Match four in a row. Clears an entire row or column, depending on direction of the stripes. 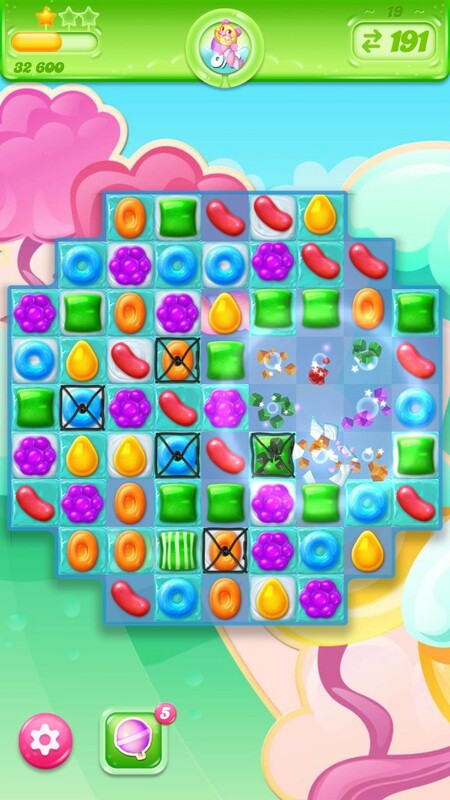 Candy fish – Match four in a 2×2 square. Fish attacks a random square and eats the candy on it. Color bomb – Match five in a row. Powerful spotted candy that clears all candies of the same color as the one it was matched with. Wrapped candy – Match five in a T-shape. It will explode when swapped, taking out any candies around it. Coloring candy – Match six or more. Changes the color of any candies that it’s swapped with. Good for raising the your chances for making special candies. Coconut wheel – Randomly appears at later levels. Clears the first candy it’s switched with, then converts the next three candies in that row or column to striped candies. All of the special candies can be combined with each other to create other special candies that grant you different benefits. Striped candy and wrapped candy – Makes a giant striped candy that clears three rows and 3 columns in a cross shape. Striped candy and color bomb – Converts all candies — including special candies — to the color of the original striped candy and activates them. Striped candy and jelly fish – Makes three striped fish that convert any eaten candy into striped candies and activates them. Striped candy and coconut wheel – Changes a total of six candies into striped candies and activates them. Wrapped candy and wrapped candy – It makes the board go boom. 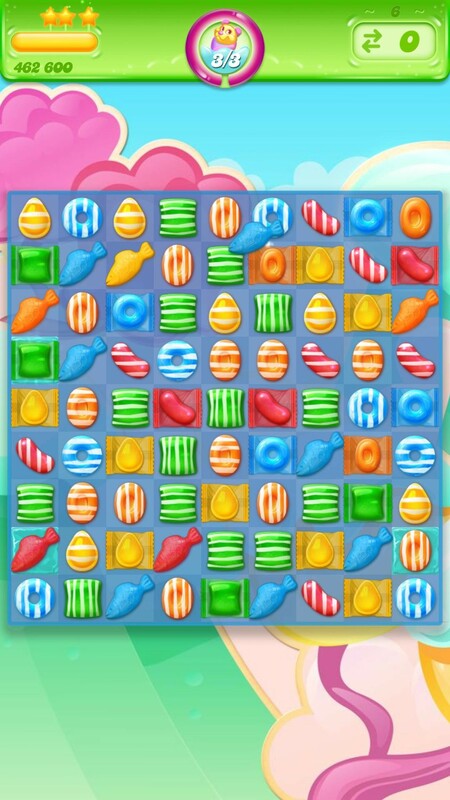 It clears out 24 candies in a 5×5 grid surrounding each wrapped candy. 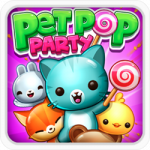 Wrapped candy and color bomb – Changes every candy of the same color as the wrapped candy into wrapped candies and activates them. Wrapped candy and jelly fish – Makes three wrapped jelly fish that turn the candy they eat into wrapped candies. Wrapped candy and coconut wheel – Changes an entire row or column of candies into wrapped candies. 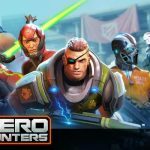 Color bomb and color bomb – Want to clear the entire board, including most obstructions? Match two color bombs together and watch the whole board explode. Color bomb and jelly fish – Makes three color bomb jelly fish, which turn any eaten candy into jelly fish and activates them. 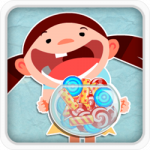 Color bomb and coconut wheel – Turns a row/column of candies into striped candies and activates them. Coconut wheel and coconut wheel – Turns a row/column of candies into striped candies and activates them. For Puffler levels, start cracking the frosting randomly across the entire board to find where the shy critters are hiding. 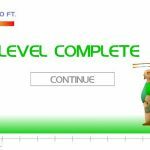 Doing this will reveal where you need to concentrate your clearing efforts for later on in the level. 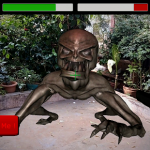 You have five moves in total per three hours and each level may have up to three boards to clear. Think strategically and conserve your moves to get the most benefit out of them. Conversely, don’t waste your moves. A good example of a wasted move is freeing locked pieces. They are usually cleared as you are playing through a level, so unless they’re blocking something important, don’t waste your time on them. In levels where you have to find the Pufflers, they tend to move around as you clear the frosting above them. Sometimes, a tail or head will be revealed. As you reveal more of their bodies, they get overcome with shyness and run away to hide. When they run, watch where they go. You’ll see the rows and columns of candy light up as they pass underneath. If you pay attention, you’ll know where they’ve gone! 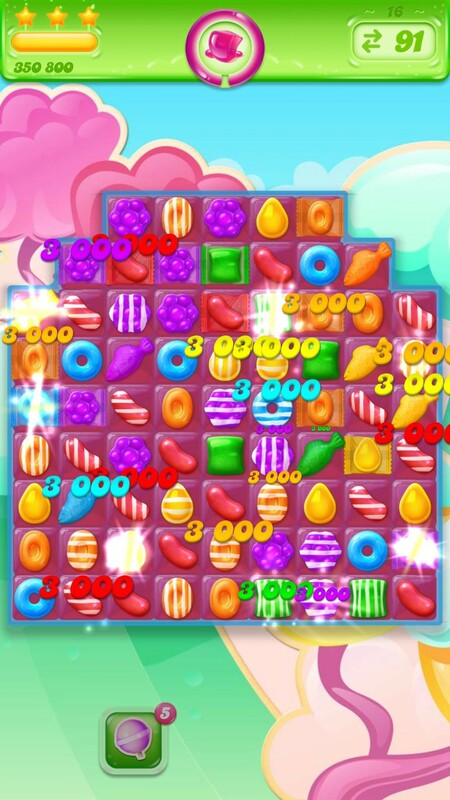 Like most mobile games, Candy Crush Jelly Saga gives you a limited number of moves: you get five turns every three hours. To get more turns, you can do this trick: In your settings, you have a setting for automatic time zone. Turn this off and set the clock three hours ahead. Fire up the game and play. You can keep advancing the clock three hours at a time. 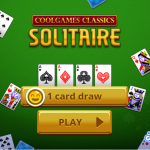 When you are done playing, be sure to turn on automatic time zone again because fiddling with the time can cause other applications to malfunction. How much candy have you crushed? Have you reached the top level in Candy Crush Jelly Saga? Brag about it in the comments below and tell us how you did it!